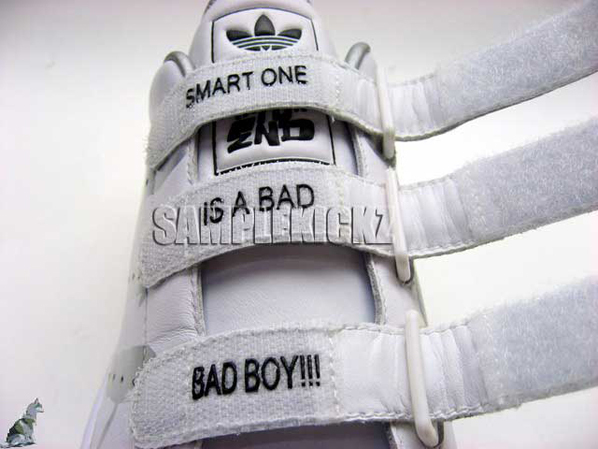 Here is one of the newest Adidas sample Stan Smith called End to End collaborated with Smart One. 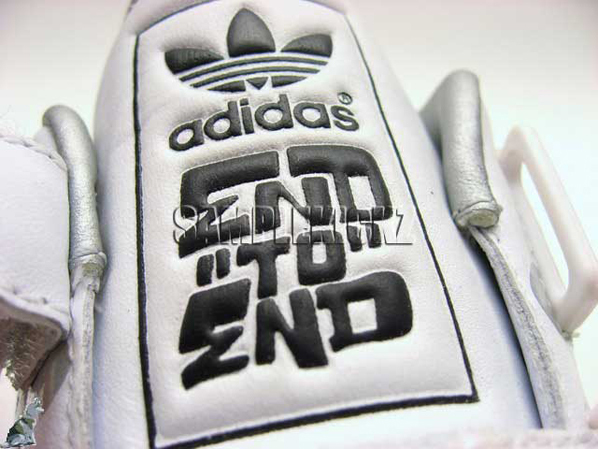 I must admit that this Adidas Stan Smith is phenomenal, check out the three strips on the side which it looks like blood is dripping. 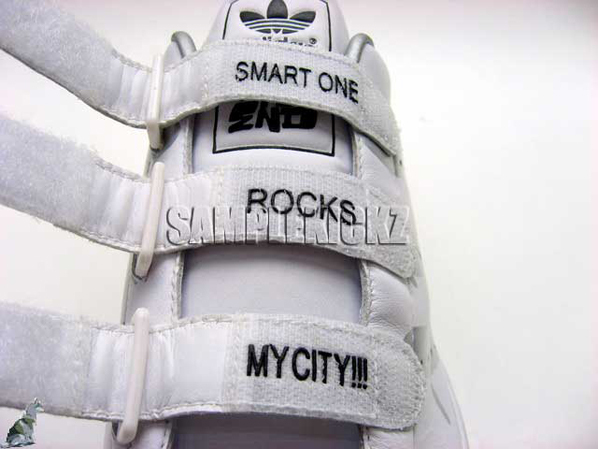 Also each shoe says on the straps: Smark, One Is a Bad Bad Boy” and “Smart One Rocks My City”. 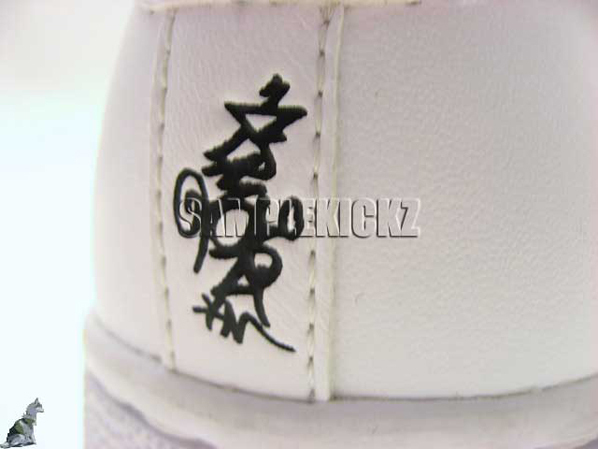 Other details are the same sole that came on the Superstar 35th goofy and the insoles have graffiti writing. 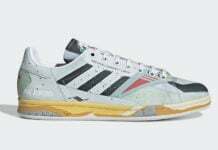 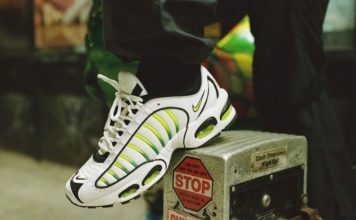 Available at Samplekickz. 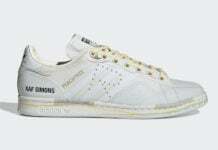 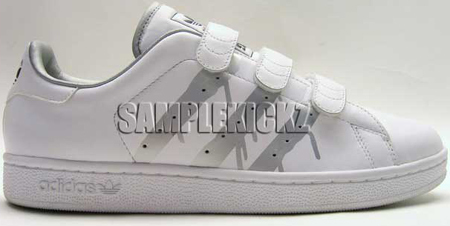 do you know where i can buy these (stan smith original smart one) shoes.